When a soccer match is scheduled, it is played. 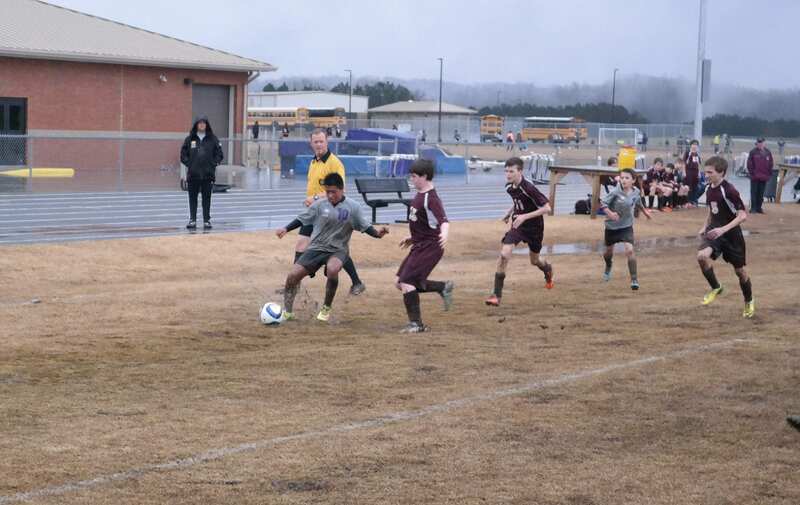 The Clear Creek Middle School soccer squads hosted Dawson County Middle School yesterday for 120 minutes of muddy, rainy action that concluded with a 5-1 Bobcats victory and the same final tally for a Lady Tigers triumph. 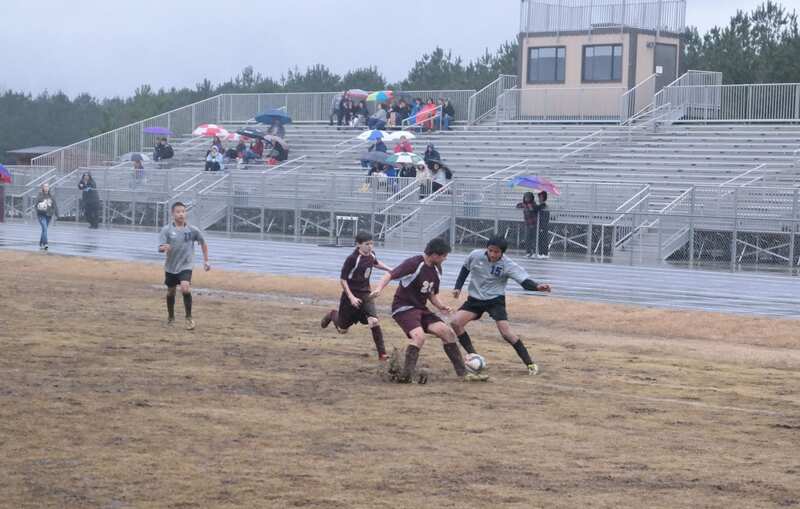 Fredy Sanchez continued his banner year for CCMS, garnering two goals in the first half. David Reynoso added one to give the Cats a 3-0 advantage. Dawson got on the scoreboard just before halftime, courtesy of a shot from Christian Harper. Clear Creek built on its 3-1 halftime lead with two more goals from Sanchez in the second half, each just 90 seconds apart. The Tigers were unable to respond, giving the Bobcats a 3-0 victory. In the nightcap, the Lady Cats scored their only goal of the contest on a penalty kick from Naomi Coombs, with 12:43 left in the first half. Madison Anglin tied the game at 1-1 with a goal for Dawson, as 8:48 remained in the half. Molly Muenchin then edged the Lady Tigers ahead 2-1 with a goal at the 4:18 mark, which led to DCMS holding a 2-1 halftime lead. CCMS was unable to slow down Muenchin in the second half, as she scored goals with 23:02, 11:04 and 9:19 left on the clock. Although the Lady Cats took numerous shots at the goal, none were successful in crossing the line, awarding Dawson with a 5-1 victory.